Let's get real: the past year was a doozy for me, with the sudden losses of my Dad and a couple of friends, and with everything else that has been going on in my life. There's been more bad than good, honestly, and I've let myself go. But, things are definitely starting to turn around, and that means no more excuses! It's time to take care of myself externally, internally, and emotionally. Sounds kind of overwhelming with such lofty goals, right? Not at all. It's about making small changes. One way to make those small changes is to nourish my body from the inside, and that makes me feel great and beautiful on the outside. For my small change, I decided to try vitafusion™ gummies. Have you tried them before? I'm not a fan of hard-to-swallow pills, and I wanted something convenient, as there's no need for water. These fit the bill! I am a fan of the fruity flavor though, and that has made taking my daily vitamins easier and dare I say enjoyable! Plus, they're gluten-free, made with natural fruit flavors and colors derived from fruits, vegetables and plants. First up are the vitafusion™ Gorgeous Hair, Skin and Nails. 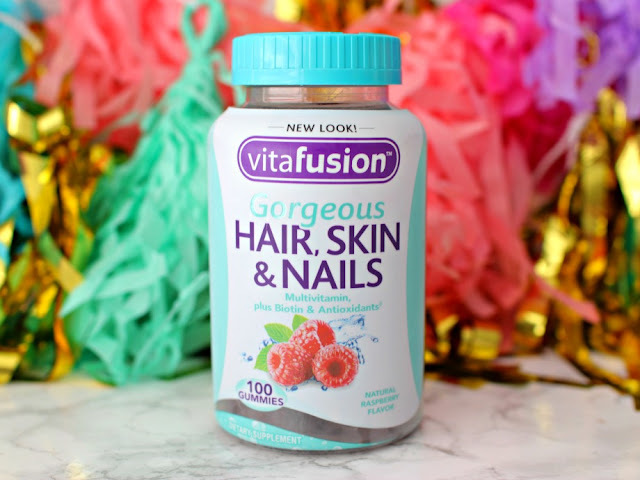 One serving of these delicious gummy vitamins provides 2X the biotin, 4X the antioxidant vitamins C & E, compared to the leading hair, nail, and skin gummy supplement (per serving), and 12 essential nutrients to support luxurious hair, gorgeous skin and healthy nails. * They have a raspberry flavor! 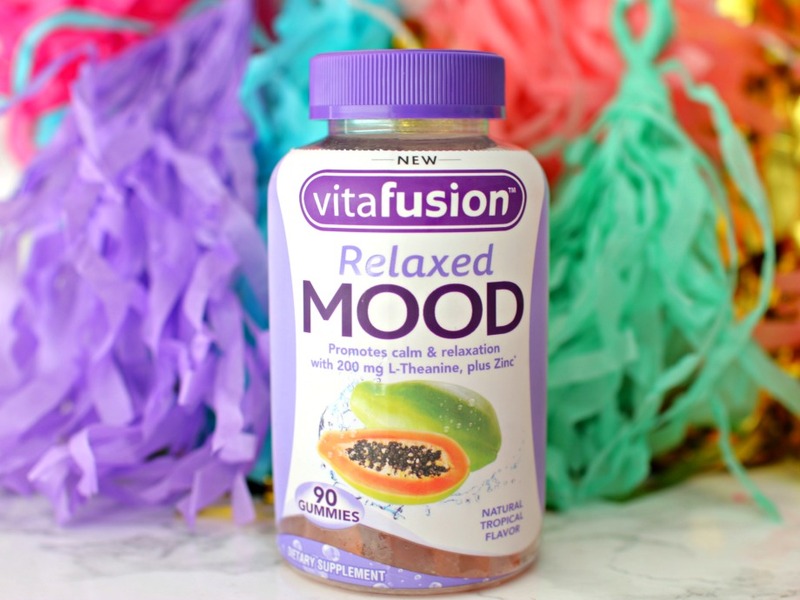 Finally, I tried the vitafusion™ Relaxed Mood. One serving of these great-tasting gummies provides 200 mg L-Theanine and 1.5 mg of Zinc to keep a calm mood. * Lovely! After trying the 7 Day Challenge, I can say I'm glad I tried it, I love the gummies, and have integrated vitafusion™ into my daily routine. 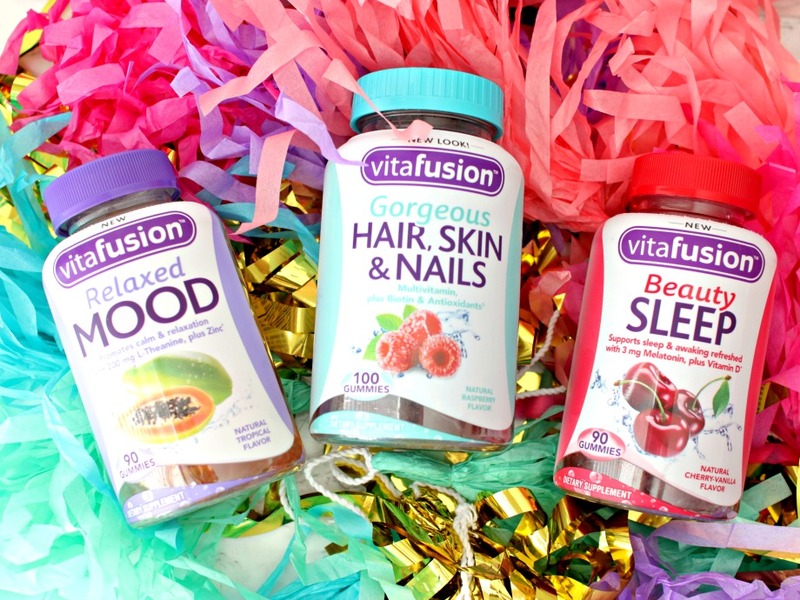 If you'd like to try vitafusion™ yourself, look for them at club, mass, drug and grocery stores nationwide including: Costco, Walmart, Target and Walgreens. More information can be found at www.vitafusion.com. 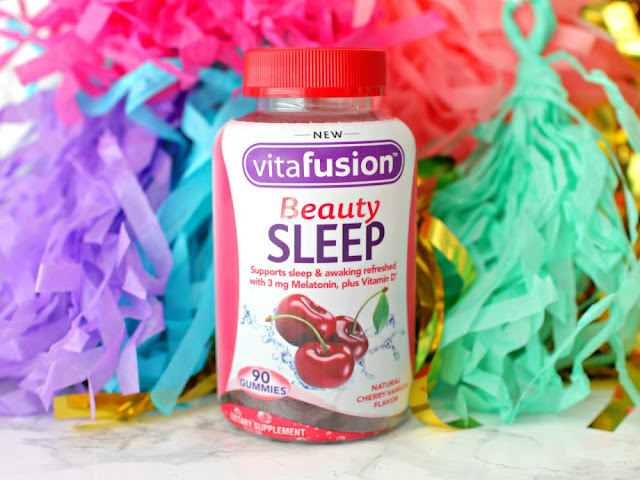 Have you tried vitafusion™ before? I take a multi-vitamin daily and wanted to find something for my hair and nails. These sound like a good one to try! Thanks for sharing! Did you read the post? Yes, I did. These promote growth. I fall asleep easier. The Beauty Sleep one sounds right up my alley:) I've been looking at supplements lately, and will keep this brand in mind. I use a different brand of Hair, Skin, and Nail boosters, but they are a pill - would love to try them in gummy form. I will definitely check these ones out when I run out of my current Biotin product! I love gummy vitamins. I totally need to try the sleep one as I have been having a really hard time sleeping. I toss and turn all night long and it's horrible. Thanks for sharing. The hair skin and nails gummies have been on my list for a while, but I am so bad about remembering to take a supplement daily. I should definitely pick these up and give them a try. I take hair, skin and nail vitamins and have noticed a healthy difference. I also take melatonin each night, but like how this one has Vitamin D too, will need to try it! I've always taken vitamins but have never tried a gummy version. Once I don't have to take prenatals any more I may try these. I'm intrigued by the "sleep" ones for sure! I love this brand of vitamins. I take them too. Sorry it's been a hard year. 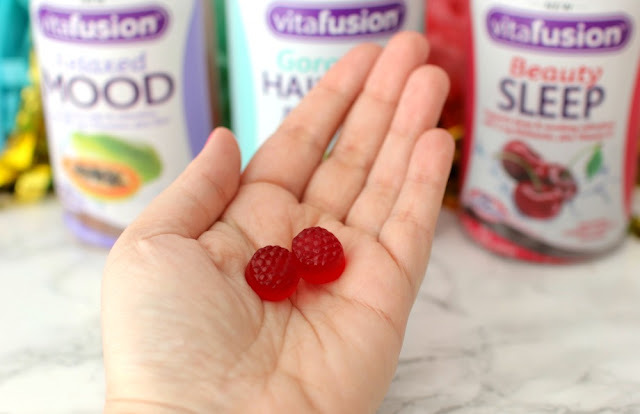 I totally take vitafusion gummies, love them! I've never tried any of these gummies. I need to check them out! I love VitaFusion gummies, they are the best! I have not seen these anywhere, I'm guessing they are new. When I saw your first pic I thought to myself, I WANT the Beauty Sleep gummies, but they have Melatonin and it makes me have the craziest, most vivid dreams. But I think I'll give the relaxed mood and hair/nails gummies a shot! I am a hard to get to sleep girl so I will have to try out that beauty sleep one, thanks! I take a lot of vitamins and it can get tiring. This sound like the perfect alternative! Vitamins are a great resource for feeling better. Big fan, esp. when they come in gummy form! One of the things that I'm terrible about is taking vitamins, and I know that I really need to be better! I might have to try out the one that promotes better hair, skin, and nails! I've never tried these, but I'm all about vitamins! I love that they have so many different ones. I need to try the hair, skin, and nails one. I take the Vitafusion Women's Daily gummies. I should try the mood ones! Oh man I love gummies. I had the gummy-vites (for kids) when I was probably in middle school (aka too old for them haha). I think I could use the mood ones for my stressed/anxious times! 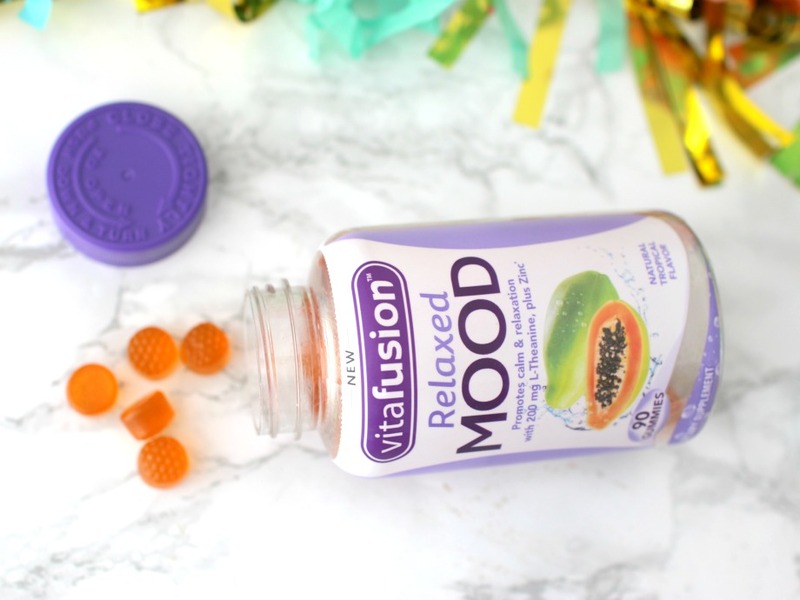 During cold & flu season I totally take the Vitafusion Vitamin C gummies! I have been thinking of trying these out, I am a big fan of gummie vitamins I think they absorb better. I started taking the Beauty Sleep a couple of weeks ago and I love them! I definitely need to try the others now! These sound amazing! I love gummie vitamins too! I definitely want to try the hair and nails one! I love gummie vitamins lol!! I use to buy the power c and fiber gummies from them all the time. I need to try the hair skin and nails one! It's so important to take care of our selves internally too! I take the VitaFusion Women's multi-vitamin. Did you take these all together, in one day? I am never sure if taking multiple type vitamins in one day would be too much on my stomach. Thanks for sharing! I am currently taking some everything gummy vitamins too which I love. Once those are over I have to try these. The hair and nails bottle I need to ASAP. Hope you had a relaxing vacation and Memorial Day Elle! I use VitaFusion gummies, but I've never seen these! Need to find these! I have melatonin in gummy form and it's so good and works so well. I want to try the hair, skin, and nails for sure!